There are many reasons why Blakeney Racquet and Swim Club is the club for you. We offer state of the art facilities featuring two American red clay courts to go along with our nine Har-Tru courts and our three hard courts. In all, we have 10 lighted tennis courts and 4 daylight use courts. 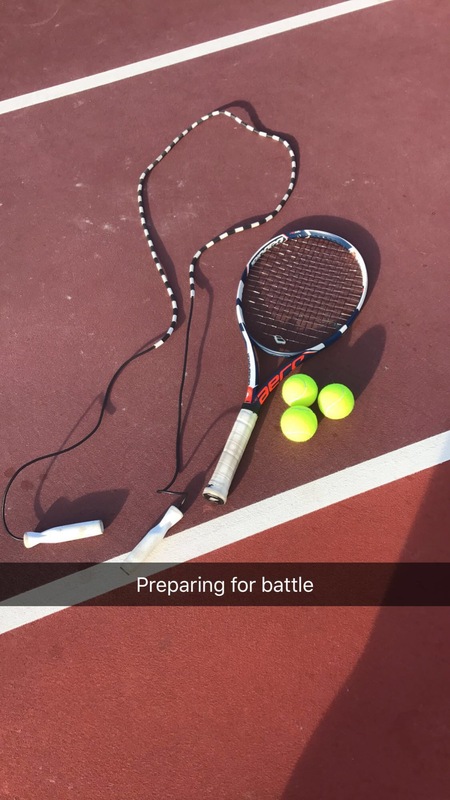 We have a dynamic tennis teaching program where we cater to folks that are taking up tennis for the first time, the elite player, and everyone in between. Blakeney’s junior tennis program has it all! Our after school program offers classes for kids age 4 through 18. Our red ball classes introduce tennis to our youngest players using a 36′ court with low compression balls that make learning to play tennis easier and fun! As the child progresses, they move up to orange ball with a 60′ court, green ball using the full court, and finally to the regular yellow ball. We have a strong Academy Elite program for the high school team player and the tournament player that focuses on strategy, fitness, and performance. In Spring and Summer we field junior team tennis teams that offer a social/competitive choice to our junior players. When school is out for summer, our junior tennis teaching program continues with a fun summer camp that includes tennis and swimming. Our junior tennis teaching program never stops! We have over forty adult league teams for 2.5 to 5.0 level players, many advancing to State championships and beyond! We also offer a great social tennis program with many “Just for Fun” days. Not a tennis player? No problem! We have one racquetball courts, a junior Olympic size pool that is open in summer, a dry sauna, and a complete fitness center. We even have a junior swim team, the Lionfish, that compete against swim teams from the metro area. Our membership is diverse with members from around the world. Our members are friendly and always welcome new members to the Blakeney family. Alright, now you know a bit more about Blakeney Racquet and Swim Club. Hopefully you would like to know even more! If so, we are here to answer any questions you have. We look forward to assisting you and we hope you will want to become a member of the Blakeney family! Please fill out the form below with best way to contact you and one of our highly qualified associates will contact you. Please note that membership sales is done upon making a scheduled visit to our club with our Membership/Event director. The Membership/Event Director can be reached at the club Monday through Saturday 9am to 7pm and Sunday (by appointment only) 9am to 5pm. Appointment is highly recommended at all times.